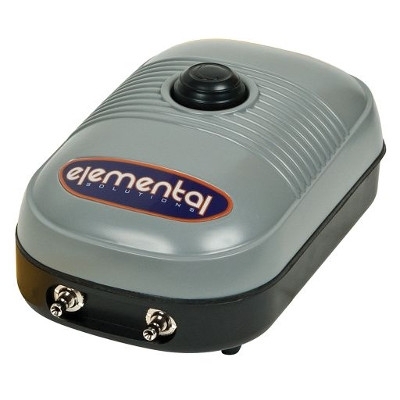 This Elemental Solutions® H2O Pump features waterproof motor casing, a durable ceramic shaft, corrosion-resistant housing and an adjustable flow rate. 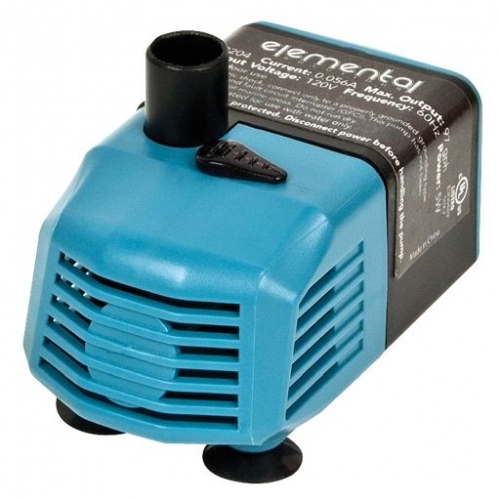 The submersible 5-watt H2O Pump has a fixed 1/2-inch fitting and pushes 97 gallons per hour with a maximum head of 2.45 feet. 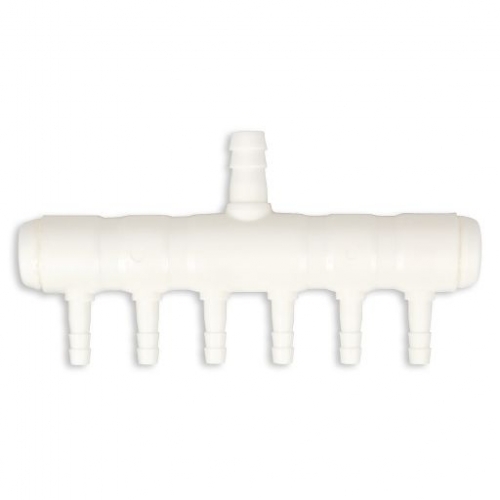 This Elemental Solutions® O2 Plastic Divider allows a single high-output air pump to provide airflow to six air diffusion devices. 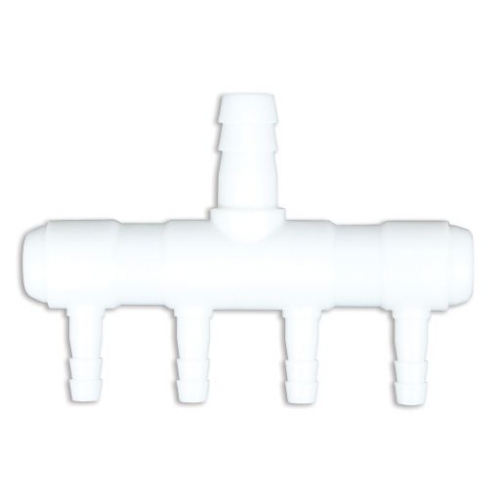 This Elemental Solutions® O2 Plastic Divider allows a single high-output air pump to provide airflow to four air diffusion devices. This quiet, energy-efficient Elemental Solutions® O2 Pump pushes 380 gallons per hour to provide reliable output for air diffusion devices. Airflow to its eight outlets is easily adjustable using the knob on top. 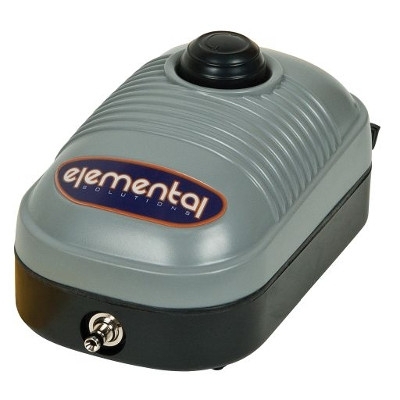 The 120-volt, 13-watt O2 Pump features durable construction and a one-year warranty. 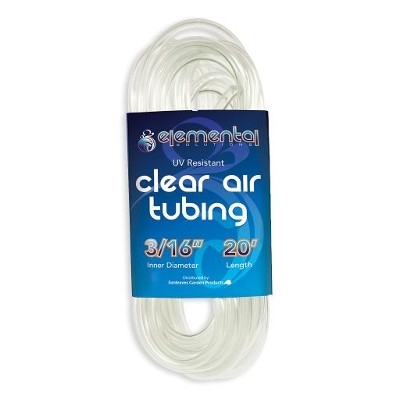 The air outlets are compatible with 3/16-inch-ID tubing (available separately). 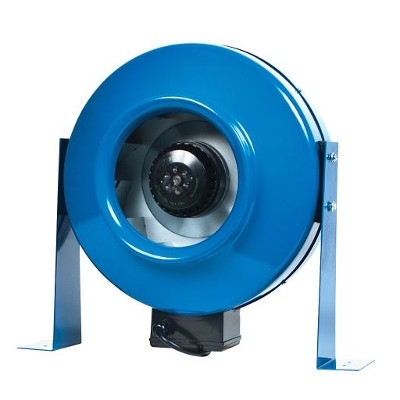 The 8-inch, 745-cubic-feet-per-minute DuraBreeze® Inline Fan quietly and efficiently ensures airflow in indoor gardens. 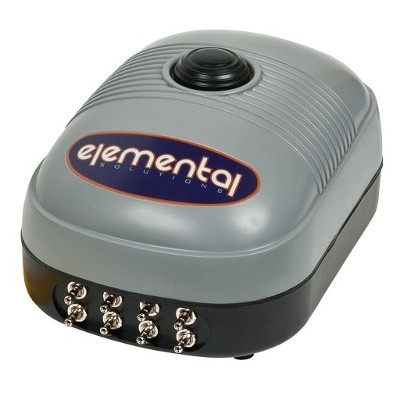 Its powder-coated steel housing encases a motor with automatic thermal-overload protection. It includes a 120-volt prewired power cord and mounting hardware for easy installation. This fan is ETL-listed and comes with a five-year warranty. Six-inch DuraBreeze® Ducting attaches to fans or other ventilation equipment to cool grow lamps, activate carbon filters or simply exchange air in indoor gardens and more. DuraBreeze Ducting features strong, tear-resistant construction with a black inner core to minimize light reflection during dark cycles. 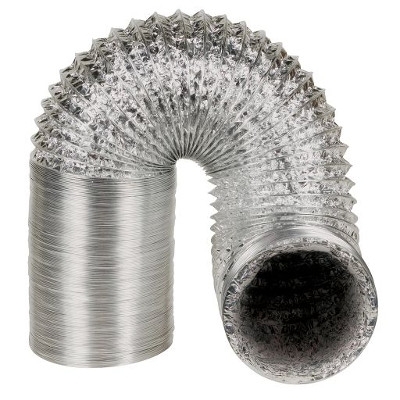 This ducting includes four heavy-duty plastic duct ties. The ETL-listed 16-inch DuraBreeze® Wall Fan keeps indoor garden air moving without taking up valuable floor space. 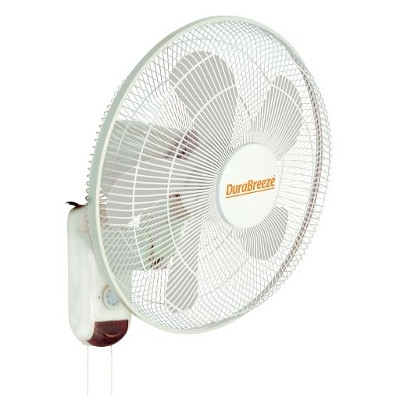 Featuring three breeze settings, both wide-range horizontal oscillation and fixed-position operation, and pull-cord and rotary dial control, this fan offers a versatile solution for hot or stagnant air. 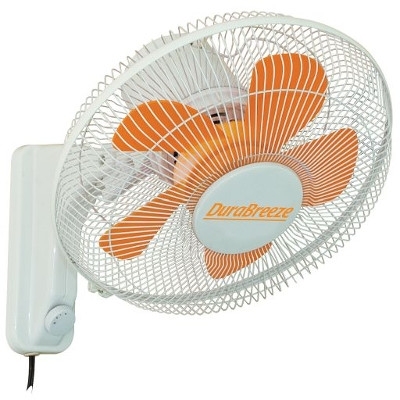 The DuraBreeze Wall Fan is powered by a 60-watt motor with overheat protection and includes a one-year warranty. 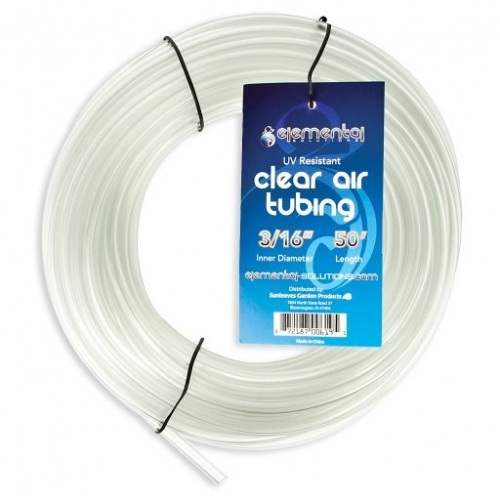 This Elemental Solutions® O2 Clear Air Tubing is 50 feet long with a 3/16-inch inner diameter. 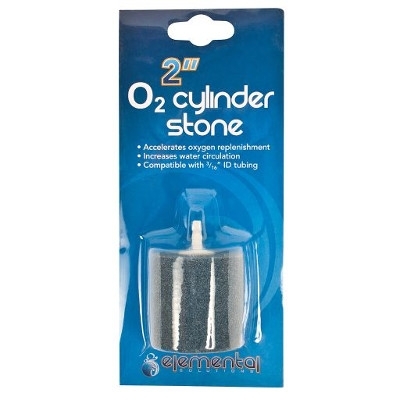 Use it with air pumps or air diffusion devices. 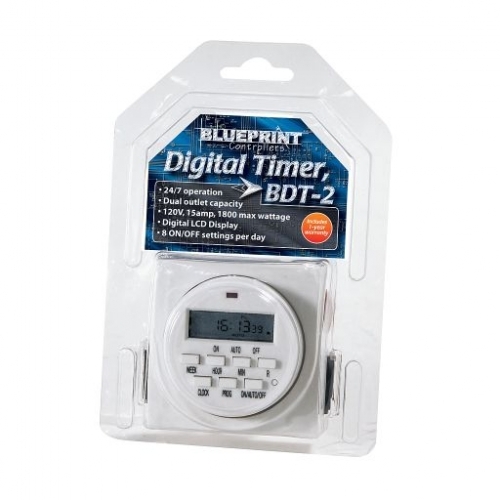 Excellent for running hydroponics systems, lighting equipment, pumps and more, the 24-hour programmable Blueprint Controllers® Digital Timer, BDT-2 runs two 120-volt devices on the same schedule. The UL-listed digital timer features a large LCD readout and integrated circuitry that can handle up to 15 amps and 1,725 watts. 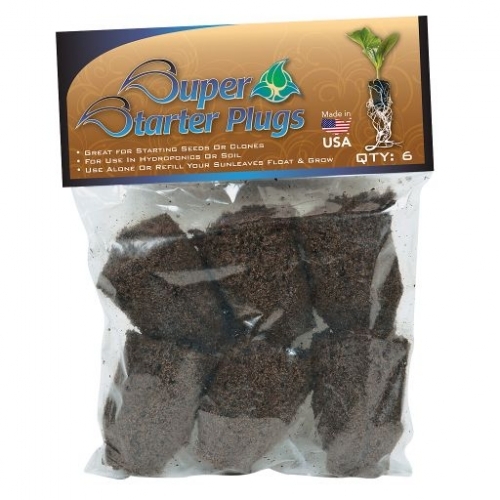 Great for starting seeds and clones, the Super Starter Float and Grow includes a standard plastic flat and reusable Styrofoam insert filled with 55 Super Starter Plugs. 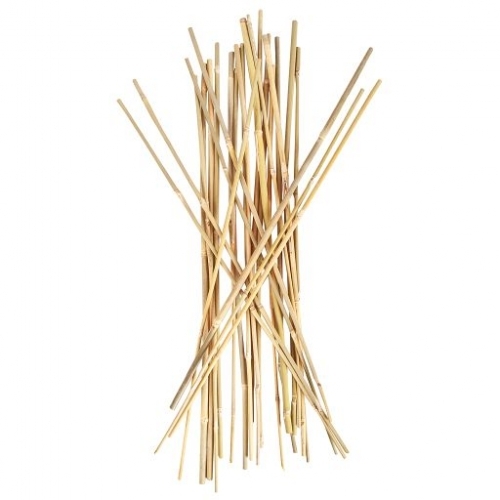 Smart Support® Bamboo Stakes, 4 ft. 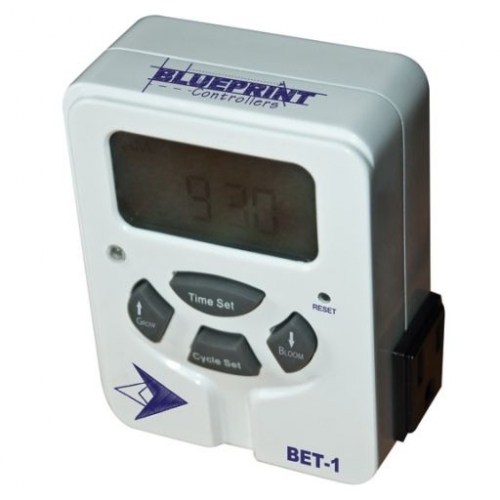 The 24-hour Blueprint Controllers® EZGrow Timer features dual outlets and digital functionality, as well as unique integrated options for grow and bloom cycles. 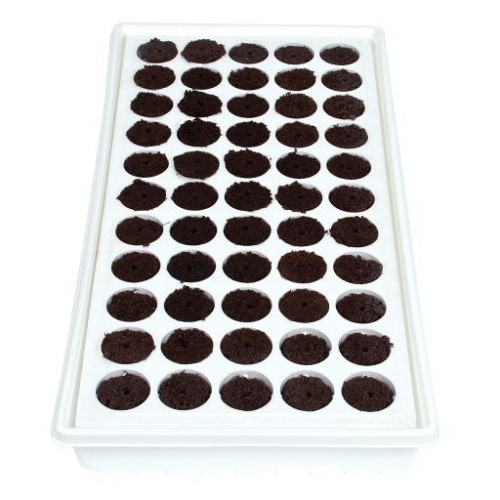 Once the time of day and cycle start time are selected, simply select the 18/6-hour Grow or 12/12-hour Bloom setting. 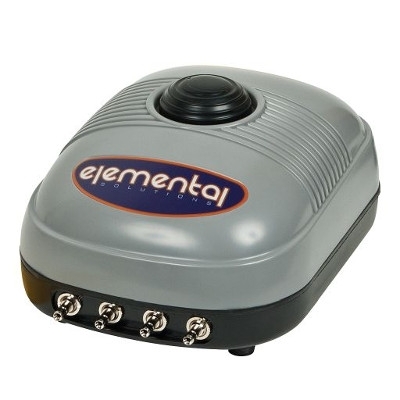 This timer includes a rechargeable NiMH backup battery and one-year warranty. 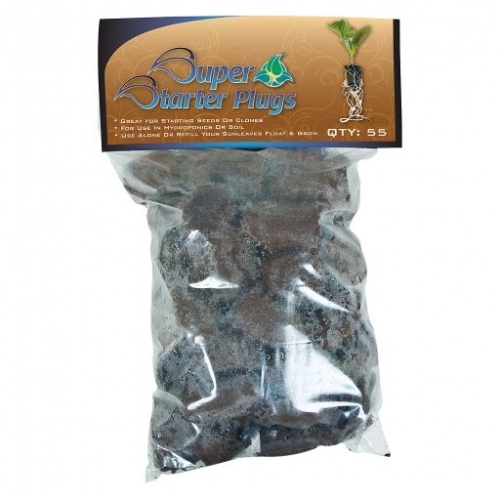 Sunleaves® Rocks are a reusable growing medium with serious water-holding power for use in any kind of garden. The 1/4-inch to 1/2-inch rocks are made by superheating shale to temperatures up to 2,000 degrees Fahrenheit, rendering them pH-neutral and chemically inert. Product of the USA. 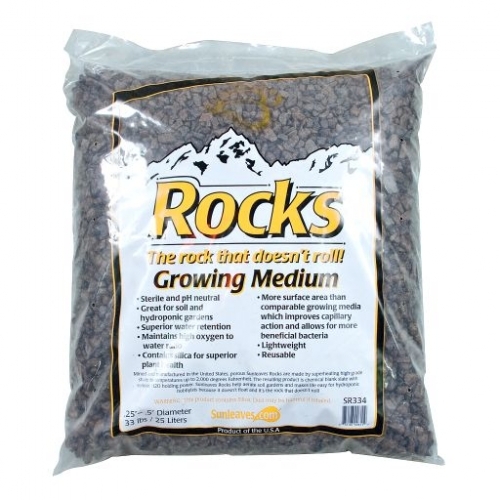 Sunleaves® Rocks are a reusable growing medium with serious water-holding power for use in any kind of garden. 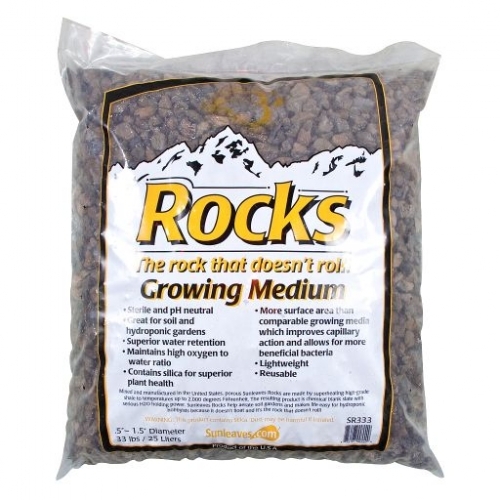 The 1/2-inch to 1.5-inch rocks are made by superheating shale to temperatures up to 2,000 degrees Fahrenheit, rendering them pH-neutral and chemically inert. Product of the USA. 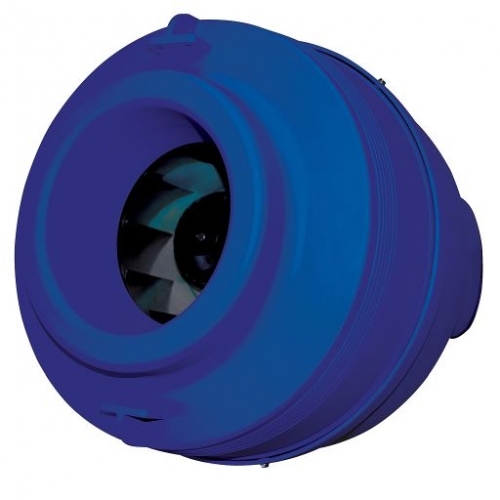 For inline ventilation, it doesn't get any better than the Sunleaves® WindTunnel fan. Permanently sealed and lubricated ball bearings support zero-resistance blade rotation for smooth, dependable operation. 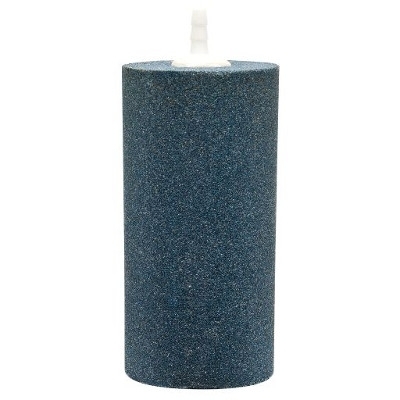 Durable ABS plastic housing helps minimize noise production. The 120-volt, 200-watt, 10-inch WindTunnel has a 15.75-inch total diameter and 10-inch duct flanges and is ETL listed. It includes a five-year warranty.